Sticky Thread Using MJ Credits for Xenforo 2 will allow users to stick your thread on top of a page by using credits for the period of time you pay. It is effective for especially business lists or classifications where being on top is desirable. - Admin can set the option to allow users can choose start sticky date. - Allow to set purchase sticky permission for a specific an usergroup / node. 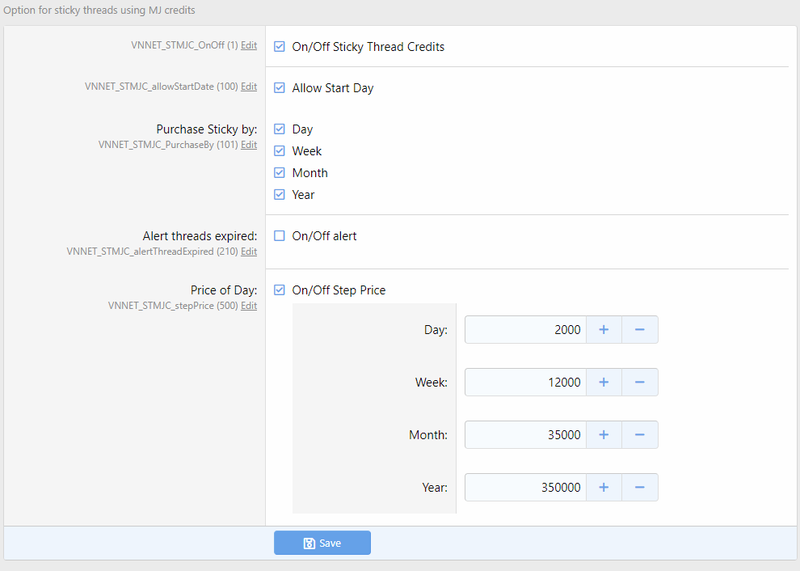 - Users can manage to stick a thread via the Sticked thread manager. - Fully support MJ Credits . - Fixed bug error start day. - Added Option step price ( If you aren't enable it, system will select event for every day stick). - Fixed check permission event. - Added warning for thread create event.